The Via Papalis is the ceremonial procession, beginning inside the Vatican and ending at St. John Lateran, that a newly crowned pope would journey to show his control and reign over all the land; a symbolic act of power of the Catholic Church over all people. 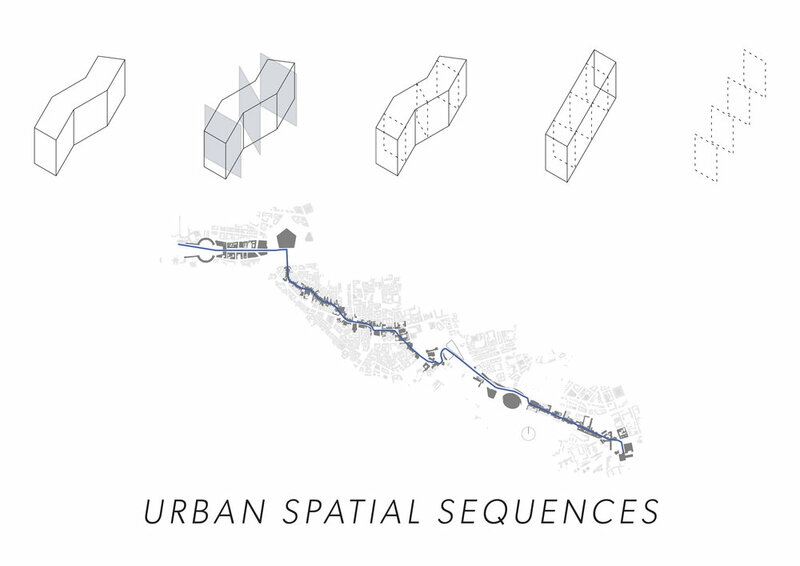 This remapping of the Via Papalis analyzes the spatial similarities and differences along the path, from large, popular piazzas to tight alleyways. Via Papalis, with a cross-section taken at every ten meters and straightened to better understand the spatial qualities of this route through the Christian capital of the world. The four major spaces one would find themself in during their trek through this weaving axis of Rome.